Arteïa is a diverse team of art loving collectors, IT professionals and technology enthusiasts, on a mission to revolutionize the art market. It has been three years since we embarked on realising this dream. During that time we have developed a secure, fully working platform satisfying the needs of art collectors across the world. With this as a foundation, we begin to engage artists, galleries and other art world actors offering innovative solutions and building a thriving ecosystem around our products. Recently, we dived deep into the world of crypto and we will soon deploy a blockchain based provenance tracker and marketplace platform. For too long the art market has been seemingly impenetrable to all but a select few, but no longer. Arteïa will allow collectors of every level to become more knowledgeably engaged in the art market and to develop a clearer vision and more personal relationship with art and collecting. 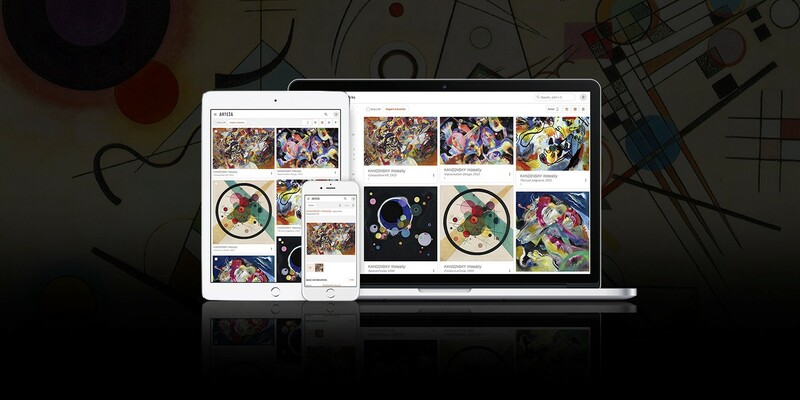 Utilizing the security of blockchain technology, Arteïa allows users to connect directly with other collectors and artists to enable purchasing, lending, sharing and learning more about the history of artworks. Our system turns every user into their own curator and dealer. Users have the ability to create their own easy to set up and navigate digital show rooms, which others can tour and have access to information and history of the pieces and artists. Arteïa allows collectors to connect directly with other collectors to develop transactional and personal relationships. In the future our systems will meet the needs of practicing artists, giving them a set of tools to quickly and clearly communicate with galleries and collectors and to easily show and explain to the world the art they are working on. We believe that every art lover should have the freedom to focus on the art and his or her personal relation with it. This means the process of buying, managing and sharing artworks should be seamless and secure. With the advancement of modern technology, we at Arteïa finally make this possible. Join us on Telegram for regular updates on our progress, and to create a larger and more engaged community! If you’d like to learn more about Arteïa and the people behind it, please visit our website.